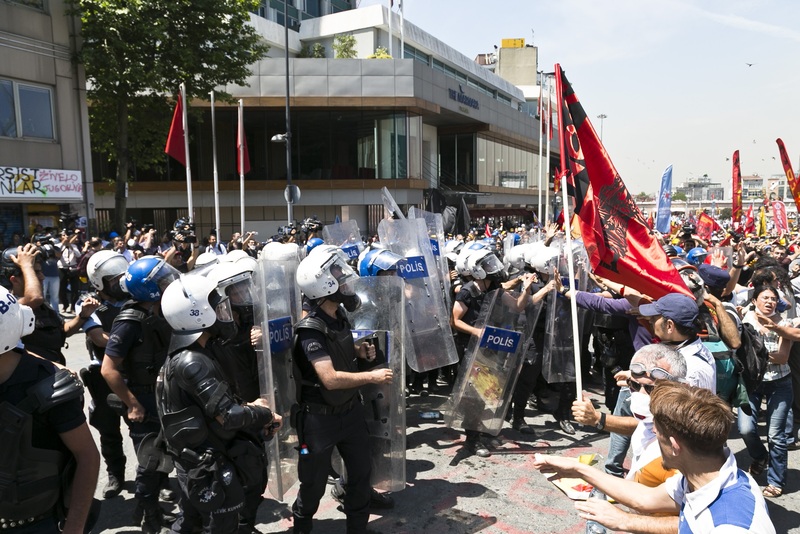 Recent political and economic developments in Turkey have been worrying for Western governments for some time. However, busy with their own political crises, they have been either slow or reluctant to react to these developments effectively. Turkey is still tolerated by the Western governments as a partner, however problematic it may be. It has a predominantly Muslim population with a leadership potential in the Middle East as a whole. And it plays an important role as a barrier for Europe against refugee flows. It seems as if Western Governments are just watching as Turkey slides further into a strange kind of electoral authoritarianism. A very important turning point for Turkey came with the June 24, 2018 elections. These brought a complete change in the Turkish political system. Turkey had gone through a referendum on April 16, 2017 to change its parliamentary system into a “superpresidential” system, which resulted in a small majority (51.4/48.6%) in favour of the change. Later, the government called early elections in June 2018 to put these constitutional changes into effect. Erdoğan again prevailed over his rivals and officially changed the Turkish regime into a despotic one-man rule. There may be some people who see this regression in Turkey as due to the Republic’s persistent democratic deficiencies since its inception. Or it can be seen as simply an ordinary example of eastern despotism. However, I would argue that the Turkish case should be examined rather in the context of the global rise of right-wing populism, which is itself a consequence of failing neoliberal globalisation. Neoliberal economic governance and the right-wing populist, and authoritarian currents it has generated, are posing serious threats to democracies all around the world. Although this regressive trend was already in place, it intensified after the 2007-2008 global financial crisis. The countries with weak institutions and immature democracies, like Turkey, have been most severely affected by it. The origins of this trend should be sought in the late 1970s and early 1980s when the neoliberal form of capitalism began to emerge and destroy the balance established between the state and the market after the Second World War. Turkey has never been a perfect democracy. Three military coups have occurred in modern Turkish history (1960, 1971 and 1980). Democratisation in the 1980s and 1990s was limited. Although there was some progress in terms of curbing the excesses of authoritarianism, the rights of citizens were not substantially extended so they could play an active role in the political process. Rather, since the neoliberal reforms started under military rule in 1980, the political regime was based on the de-politicisation of society, weakening of civil society and reduction of democracy to mere participation in free elections. After its 2001 economic crisis, Turkey implemented deeper neoliberal reforms which subsequently brought the Justice and Development Party (AKP) to power. Since 2002, Turkey has been governed by AKP’s neoliberal regime which has acquired hegemonic characteristics. Although the party brought an end to the military’s tutelage in politics, Turkey radically shifted away from democracy over time. The society was already depoliticised and the organised sections of civil society were effectively neutralised, so it was not difficult for AKP to construct an authoritarian regime. In fact, with the accumulated negative effects of the neoliberal policies, Turkey was already a fertile ground for authoritarian populism. Therefore, AKP and Erdoğan should be seen both as products and promoters of neoliberalism. AKP was established mainly by pious provincial SME capitalists and the newly emerged religious-conservative professional middle classes. However, in terms of votes, it mostly relies on the unorganised, informal and peripheral sectors of the urban and rural working classes. AKP appealed to these people by depoliticising their class identities. These people, who had been mostly neglected by the previous governments, were subject to new kinds of poverty caused by the neoliberal policies. With a booming economy, it was easy for AKP to maintain its political alliances during 2002-2007. The party’s financially stable and consumption-oriented neoliberal economic model not only satisfied capitalist groups but also provided benefits to the poor and marginalised sections of society. AKP’s neoliberal and anti-labour policies were successfully masked via new poverty alleviation programs and social protection measures blended with an Islamic notion of social justice. Indeed, the poor looked like relative winners from AKP and had a stake in its survival, no matter how authoritarian it turned out to be. This has not only weakened the organisational capacity and autonomy of the working classes, but also created political patronage. Thus, AKP has been quite successful in co-opting, assimilating and taking over any potential resistance to neoliberal policies. Under these conditions, it was impossible for more progressive counter-movements to emerge. Especially from 2010 onwards, when the effects of the global crisis started to affect Turkey more deeply, the country began to show signs of approaching the limits of consumption-fuelled and deficit-driven economic growth. Hence, AKP’s so-called “social neoliberalism” became increasingly exhausted and its authoritarian tendencies grew. First, there was violent suppression of the June 2013 Gezi revolt, and then a failed military coup attempt occurred on July 15, 2016. In the early morning of May 28, 2013, a group of activists gathered for a sit-in protest at Gezi Park in central Istanbul. The green space, a rarity in the city, is located right next to Istanbul’s famous Taksim Square. The protesters were angry at government plans to cut down trees to create space for a new shopping mall. The activists erected tents and launched their own version of the Occupy movement – reminiscent of the global anti-Wall-Street-protests. A raid by the riot police attracted heavy media attention. The police set the tents on fire, triggering Turkey’s largest anti-government demonstrations. More than 8,000 people were injured and 11 killed. 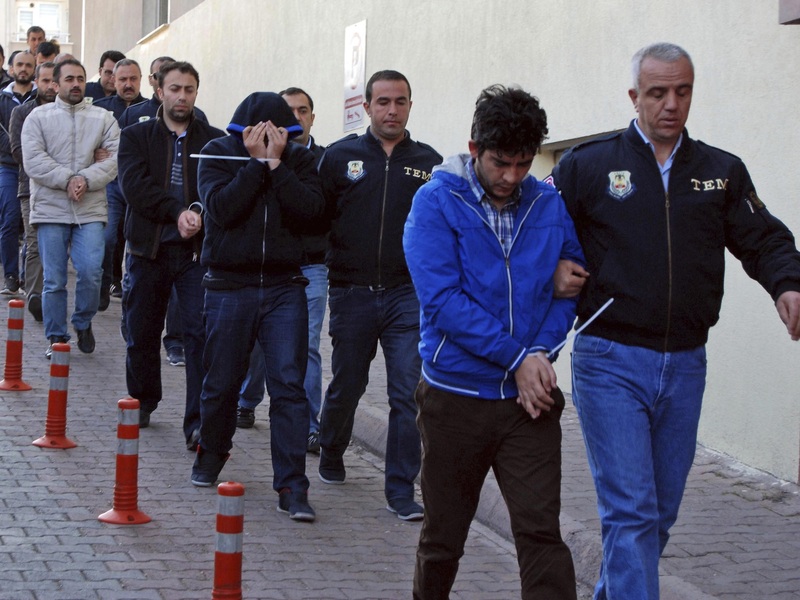 After the coup attempt, under the continuing “state of emergency” rule, more than 100,000 people have been dismissed from their jobs and more than 50,000 put in prison, including many journalists as well as politicians from the opposition Kurdish party HDP. Thousands of academics have been suspended. Many news outlets and civil society organisations have been closed down. The media is predominantly controlled by pro-government power bases. According to Freedom House (a US watchdog organisation on “freedom and democracy”), Turkey is now rated as “not free” in terms of civil liberties. With this latest election, not only is the parliamentary system replaced by a presidential one, but Erdoğan has also acquired sweeping new powers. These include powers to appoint and fire ministers, name 12 out of the 15 members of the country’s constitutional court, dissolve the parliament and call new elections, and possibly stay in power for another 12 years. Without any checks and balances from an independent legislature, judiciary, civil society or free media, Turkey has now become an electoral dictatorship. At the same time, annual inflation has risen to 15.39% (June 2018), the highest level since 2014. The Turkish Lira has lost more than 20% of its value so far this year. The current account deficit has reached record levels (annual $57.6 billion in May 2018, corresponding to 5.6% of GNP). Without Central Bank independence and with Erdoğan’s son-in-law appointed as the Finance Minister, foreign investors are fleeing the Turkish market. The economy is overheated; it’s no longer possible to sustain growth through credit pumping. It seems the Turkish economy is on the verge of another crisis. Once praised as a model to other developing countries for its political and economic development, Turkey is now an example of democratic breakdown facilitated by neoliberalism. This is an edited version of an article first published on “Social Europe” website https://www.socialeurope.eu.